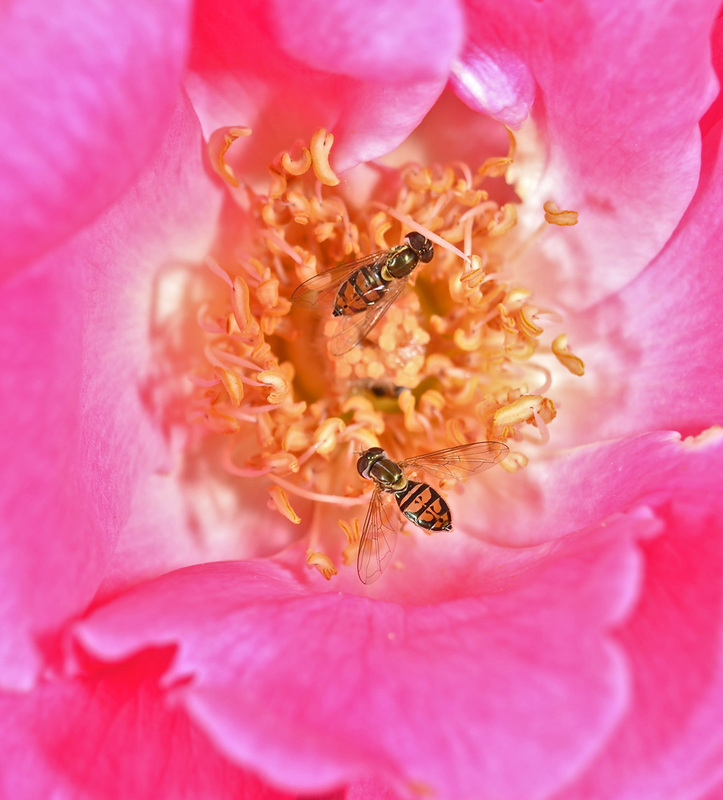 Two syrphid flies feed from a peony flower at the University of Illinois at Urbana-Champaign Arboretum’s Idea Garden. Click/double click image to enlarge. Alex Wild, author of Myrmecos, will lead the photography workshop. It’s a great opportunity to learn about macrophotography. His National Pollinator Week insect photography workshop in 2009 was the catalyst that started my interest in macrophotography. All activities are free of charge. The full schedule, accessible at http://www.life.illinois.edu/entomology/pollinators/, provides additional detail.